For the past few years, the Thesis theme for WordPress was hands down my personal favorite premium WordPress theme. Thesis provided all of the features and capabilities I required and it’s fast. But with the release of Thesis 2.0, I began to question their direction, and ultimately made the switch to the Genesis framework from StudioPress. Here are just a few of the premium theme options that I considered as I looked to move away from the Thesis framework for my sites and for my clients. 10/28/2013 – I originally published this article in 2011, and updated it based on some changes in the premium WordPress themes space, including my decision to move from the Thesis theme by DIYThemes to Genesis by StudioPress. The Genesis framework provides a turn key framework for building optimized and professional looking sites. The Genesis framework is clean, optimized, easy to use and supports the latest and greatest technology standards including HTML5 and schema.org. The Genesis framework has numerous Genesis child themes that are very professional looking, easy to customize, have advertising support built in, along with social media support, numerous widget locations, and often very unique features as well. My two favorites right now are Metro Pro and Eleven 40 Pro. Genesis is the leading option for a WordPress premium theme, and well worth the money spent. Headway, from Headway Themes, proclaims itself as the Drag and Drop WordPress theme. Based on my interactions with it, their claim really stacks up. Headway makes it incredibly easy to build a really great looking site without the need to write any custom code. Headway seems designed for the “non-programmer” and I would recommend it as the choice for those that want to visually layout their new site without ever having to leave the WordPress environment and for those with limited technical knowledge round CSS and HTML. Headway is definitely a theme you should check out and have on your short list. Canvas is a blank slate theme from Woo Themes, one of the most well known WordPress premium theme providers. While dull of the box, Canvas provides numerous options to very quickly and easily make a high quality and professional looking site using only the WordPress admin menu. Canvas has a few slick features like: Google font support, custom and integrated page layouts, integration with WooTumblog and BuddyPress child theme integration for the BuddyPress plugin. Canvas also has the bragging rights of being built on the Woo Framework, the same framework used by Woo for all of their themes. This provides a consistent way of configuring the theme, and the reliability and dependability of a proven framework. 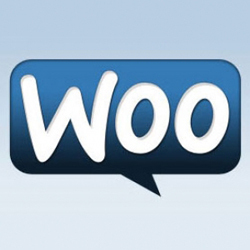 Canvas is certainly a premium theme to be considered, especially given the high quality track record Woo Themes has. Which theme is right for you? As usually, there is no one right theme and bloggers and designers can be very passionate about their themes! Spend time looking at the demos, reading about the features and factor in support and how much you may or may not need it. 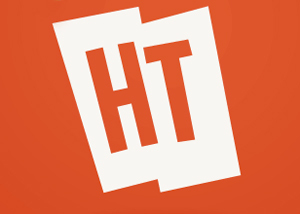 Also consider how often the themes are updated and whether the creators stay current with the latest web trends such as HTML5. Purchase the premium theme that’s right for you. You really can’t go wrong with any of the themes mentioned above. I really liked this article…. Although I am currently using Thesis, for some of my other projects I very well may give Headway a try! Been using Thesis, there is another one for free I use alot and then is platform. Wonder what you might think about that theme. Headway could be good it looks like though. (Software eNabling One Web). Can you tell us anything about it? Hey Dave – SNOW is a technology that is being built by Trilibis that detects the device requesting the page, and renders the page specific to the device. The technology is more efficient than current responsive design technologies that download all the rendering attributes, then use CSS to make the page fit an display nicely. It’s an interesting technology and looks like a good solution. Will definitely be keeping an eye on it. I have not used Thesis and I don’t plan on getting one for myself any time soon. I have used Genesis from the start of my blogging journey and am still using it on most of my sites. Though I would love to give Thesis a try too someday.